Spi roll Karver KSF is very simple and adapts to any asymmetric spinnaker. 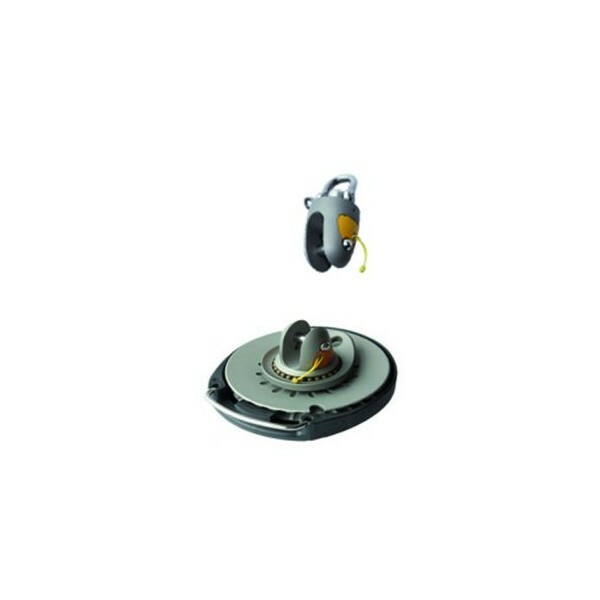 The head of spi is set in pod of the anti twist cable and the tack on a free swivel located on the turret. For winding, it is sufficient to operate the bump of winding which results in the cable, the head of spi, but step amure it. The spi began to wrap top. The KSF is the benefits of KF, by adding a émérillion of free tack that allows the winding of the spi from the head. The spi does not have to be modified. The setting of the tack is editable remote. The once tense hoist allows rolling very efficient. The emmagasieur can be used as well for a gennaker, a sail Breeze or an asymmetric spinnaker. The only added part is émérillon to tack. Head émérillon is the same as the standard KF. It is maintenance-free thanks to its sealed bearings. Aluminum is protected by a special anodizing with Teflon impregnation. 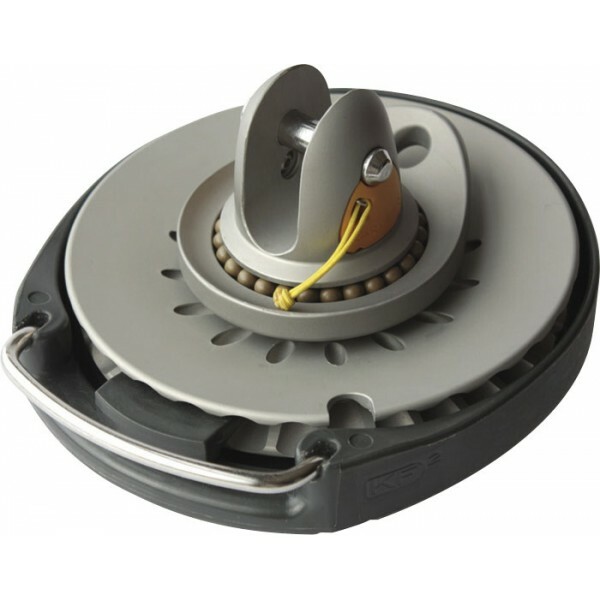 The housing of protection of the toothed pulley is fibre, reinforced plastic which protects bridge and sailing of any metal contact and ensures the protection of all impact during the manoeuvre. The carabiner located under the turret allows an easy implementation.